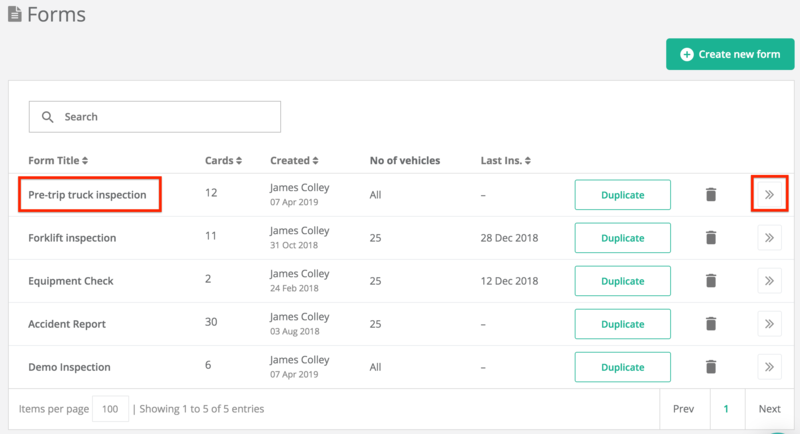 To edit, delete or duplicate a form you can access 'Forms' by logging in here. Click on the form's name (on the left) or the two arrows >> (on the right) of the form's details you would like to edit. 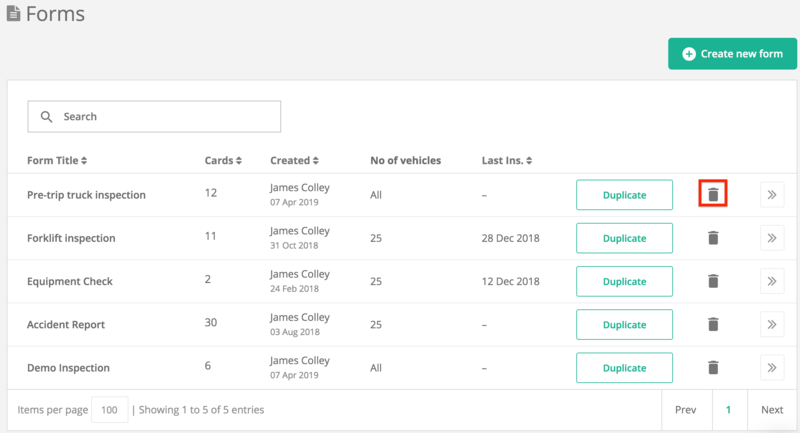 You will now be able to add and edit cards and drag and drop them to change their order. To delete a form, find the form you want to delete and click on the bin symbol. 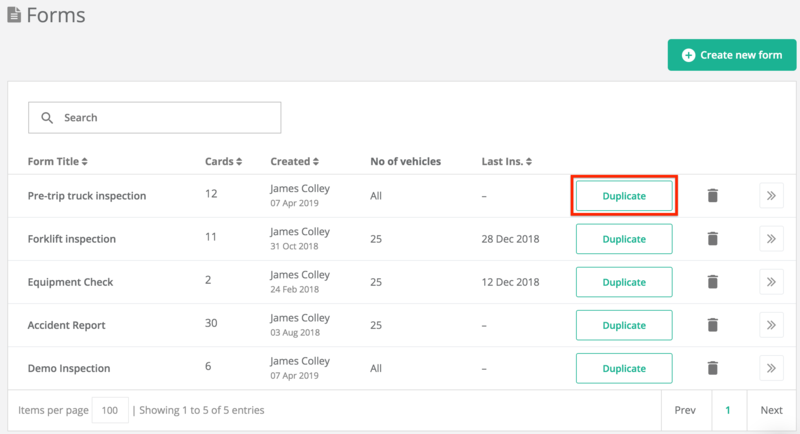 To duplicate a form, find the form you want to delete and click on the green 'Duplicate' button. You will then be able to edit it.